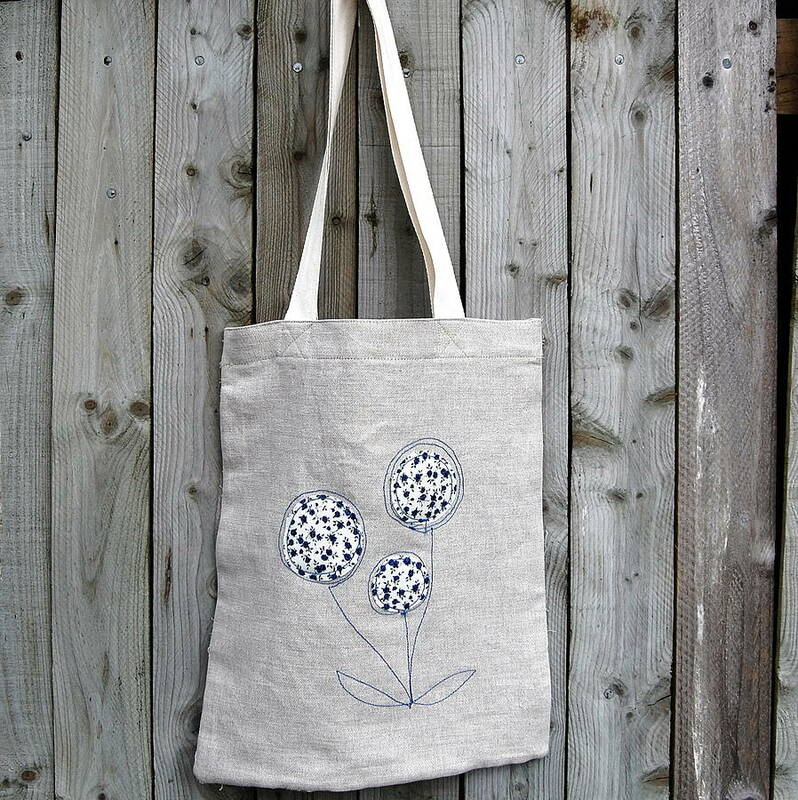 This gorgeous handmade linen shopper bag is decorated with a beautiful Liberty Print appliqued flower design and would make a wonderful birthday gift. This bag is made from a classic combination of natural contemporary linen and traditional Liberty Print floral design which appeals to women of all ages. 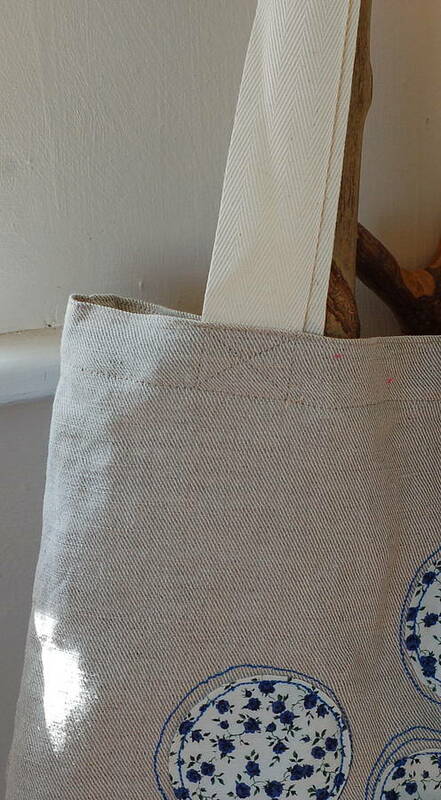 These lightweight but strong shopper bags are so useful and can be folded up to be kept conveniently in a handbag or used everyday. 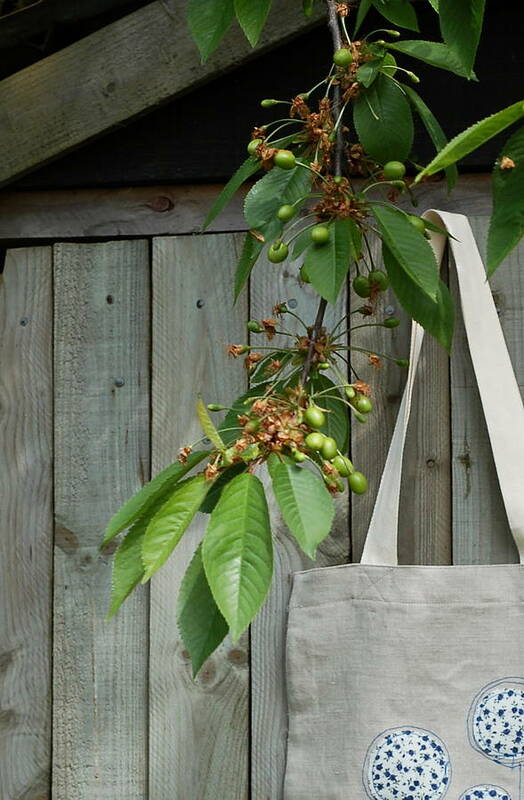 They are perfect as a book bag and would make a great gift for a teacher or book club friend. The straps are long enough to be worn on your shoulder making this beautiful bag both versatile and useful. 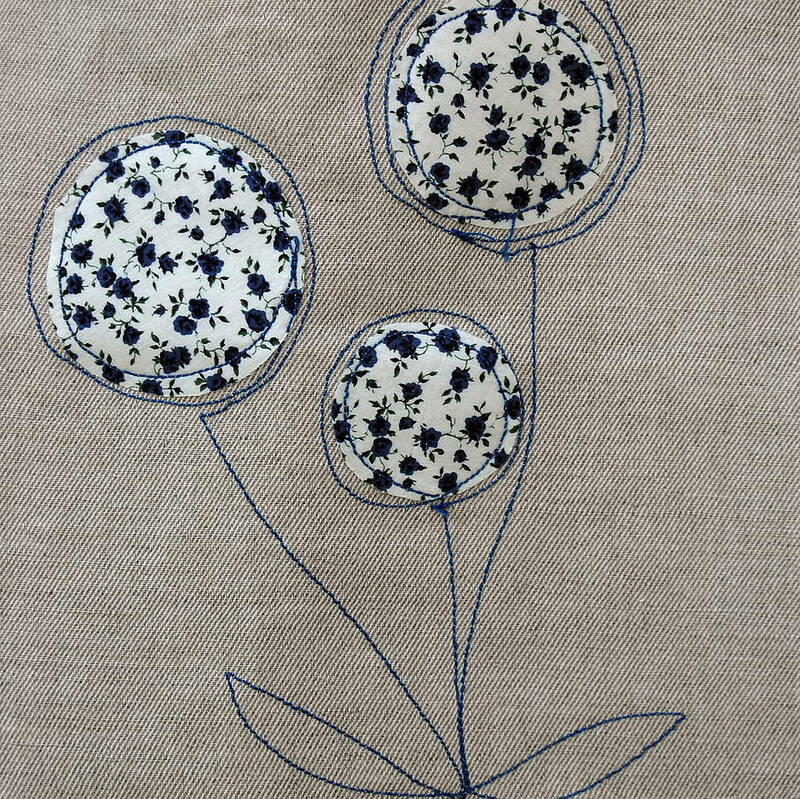 Measures 34cm wide by 40cm long. This product is dispatched to you by Handmade at Poshyarns.